NEIGHBORS IN A QUIET ASHLAND enclave of thirteen townhomes near Grizzly Peak share a workshop with its communal band saw and planer, a garden, a ping-pong table, a guest room, an indoor area with a kitchen and two meals a week. 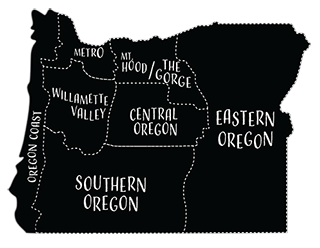 This is Southern Oregon’s only cohousing community, and an example of the growing sharing economy that includes homes, cars, goods, services and spans the state. 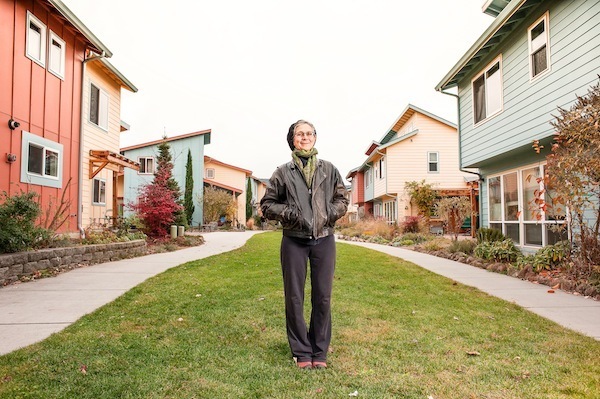 The Ashland cohousing community was designed by Melanie Mindlin, Ashland Planning Commission’s chairwoman who has neither architecture nor urban planning degree but has a vision of community. 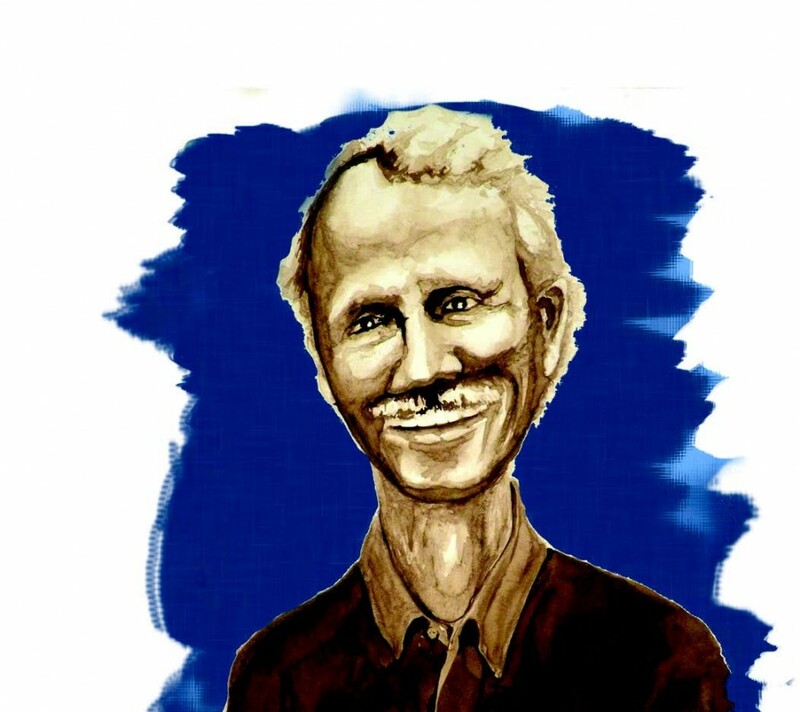 Mindlin bought the property, and did the site plan and conceptual drawings of the buildings before hiring an architect. She and other member households later formed a company, and after they secured a construction loan, Mindlin transferred title of the land to what’s now called the Ashland Cohousing Community. Mindlin, age 58, grew up in the Maryland suburbs, where she felt disconnected from nature and her neighbors. She began aligning her life more closely with her beliefs or what some refer to as, “intentional living.” As an environmental activist volunteering for the Resource Center for Nonviolence in Santa Cruz, California, she delved into sustainable living and green building. This passion manifests itself in the radiant floors, on-demand hot water heaters and passive solar design that keeps the townhomes cool in Ashland’s 100-plus degree summer heat. Mindlin’s cohousing community is but one example of Oregon’s sharing economy. While sharing is an age-old concept, it is being revitalized by an online social media world that makes it easy for people to share everything from cars to clothes to couches. It has many faces—from bartering for skills and time, to sharing work and storage space, to splitting a grass-fed cow. The lines of car ownership get blurred, too. 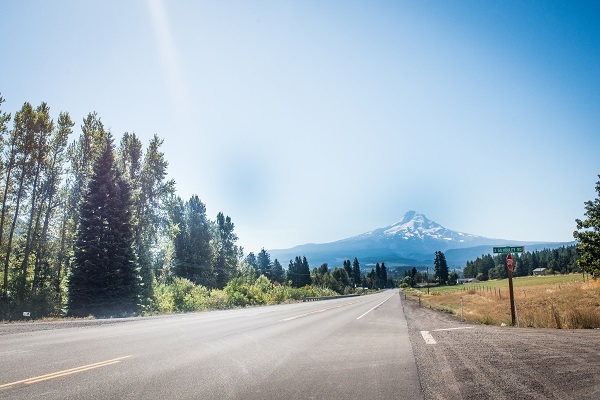 In 2011, Oregon passed legislation to allow peer-to-peer car sharing. Car-sharing online network Getaround launched in Portland in 2012 with a three-year, $1.7 million U.S. Federal Highway Administration grant to study driving behavior in car shares. 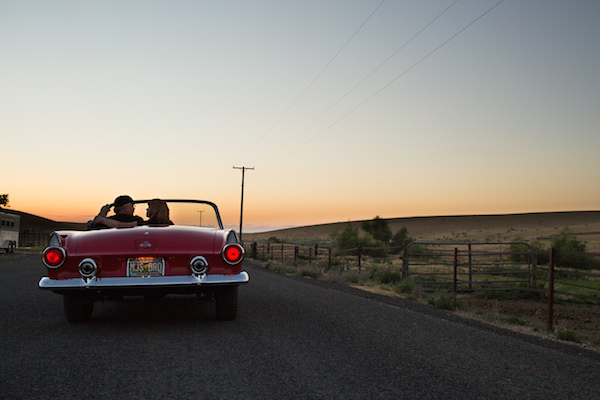 Through Getaround, Portlanders share their dormant cars with those who rent them for a modest hourly rate. This concept has surged among urbanites who drive their cars more to comply with street cleaning schedules than for transportation. Michael Armstrong of Portland and his wife have two children and one car and yet they share their Prius on Getaround because it’s often just sitting there. On occasion, they use Getaround to access a mini van when relatives visit. While the transactions can all be done online, Michael likes to hand the keys over in person. “It’s a small community connection and no burden to us,” he said of sharing his car. Other trends include sharing tools,kitchens and holding “fix-ins,” gatherings wher people help each other fix things. Portland has four toollending libraries plus Northeast and Southeast Portland Kitchen Share outlets, through which members can borrow food dehydrators, a cider press, canning equipment and other implements. Still others have started Repair PDX (repairpdx.com), through which those handy with repairs share their skills and time to help others. 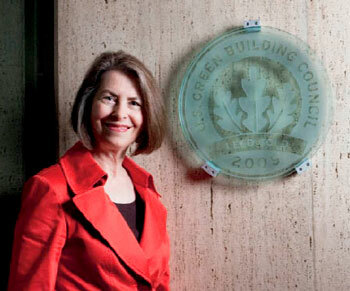 Last spring, Lauren Gross launched Repair PDX with help from Portland Metro and the City of Portland. 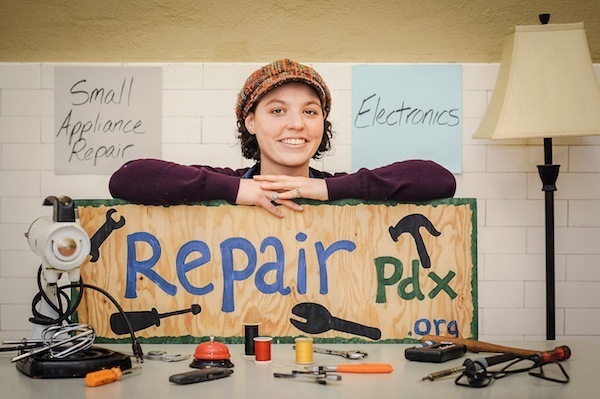 She first encountered a repair café in Amsterdam in 2011 and wanted to empower Portlanders to try to fix their broken things rather than throw them away. At these monthly “repair cafés,” those who have repair skills connect with those who don’t and their defunct items. In late September, more than thirty people came to one such event—some to repair and some to have their appliances, electronics or garments repaired. He guessed right and had the fan blowing within minutes. The woman who brought it in and calls herself Freedom, was clearly grateful and has become a regular to the group—bringing in a toaster, camping stove and clothing. 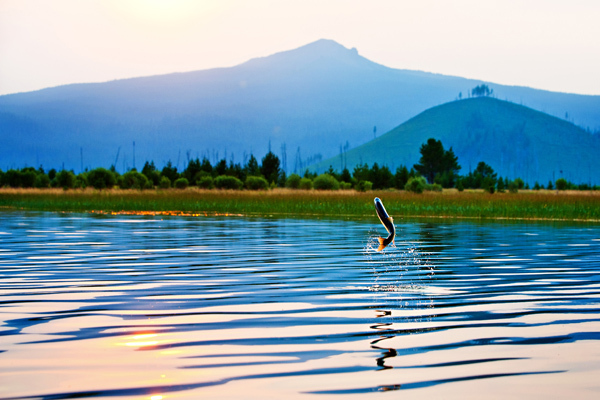 In northeastern Oregon’s rural community of Wallowa, sharing takes the form of a bazaar. Wallowa resident Deborrah Reth used her inheritance to buy the iconic old Telephone building in town for $41,500. It is now a co-op, hosting small-acreage farmers and local crafters from the community of 800 residents. For a small fee, people rent space to sell their food and wares. Everyone takes turns working the cash register. Cohousing is just one way to do this. Mindlin is also part of a gift-giving circle inspired by writer Charles Eisenstein, who visited Ashland to talk about his book, Sacred Economics, a history of money and gift-giving. What emerged was a group of people who gather over a potluck meal to talk about their needs and explore ways to meet them with their resources. Before Mindlin and her son traveled to Portland, someone found them a free place to stay. The gift circle is by invite only, but the broader Southern Oregon Time Co-op (sotimecoop. org), is open to all and comes with the motto, “Sharing gifts builds trust.” Under this model, members list what they can do (carpentry, plumbing, sewing, etc.) then barter for what they need. Examples include a haircut in exchange for house cleaning, or help pickling cucumbers for rides to the grocery store. Have seeds? Spring Olson runs a seed swap out of a vintage white refrigerator inside the doors of Central Oregon Locavore in Bend. Most of the seeds come from Deschutes County farmers, so people can be sure the plants are suited for the local climate. Need seeds but don’t have any to swap? Just pay a small fee. “We’re educating people about growing food,” says Olson. “Not everyone can afford to go to Whole Foods or the farmers market to get their greens.” Her mission—createing a more self-reliant, healthy community—dovetails with Central Oregon Locavore, an indoor, predominantly volunteer-run marketplace that sells food and wares from 250 farmers and ranchers. “We want to help farmers do what they do and live life and not worry so much,” said Locavore market manager Jennifer Smith. Locavore is also a hub for people to pick up their community supported agriculture (CSA) boxes. 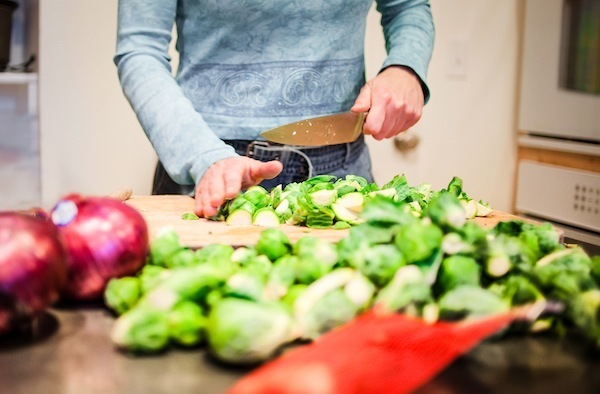 CSAs allow a small farmer to share the risk of the coming growing season by asking members for payment in advance in exchange for a regular delivery of vegetables. Some CSA members pick up their shares— a quarter of a cow, say, or a regular supply of dairy directly from the farm. It’s about sharing time, risk, knowledge and food.